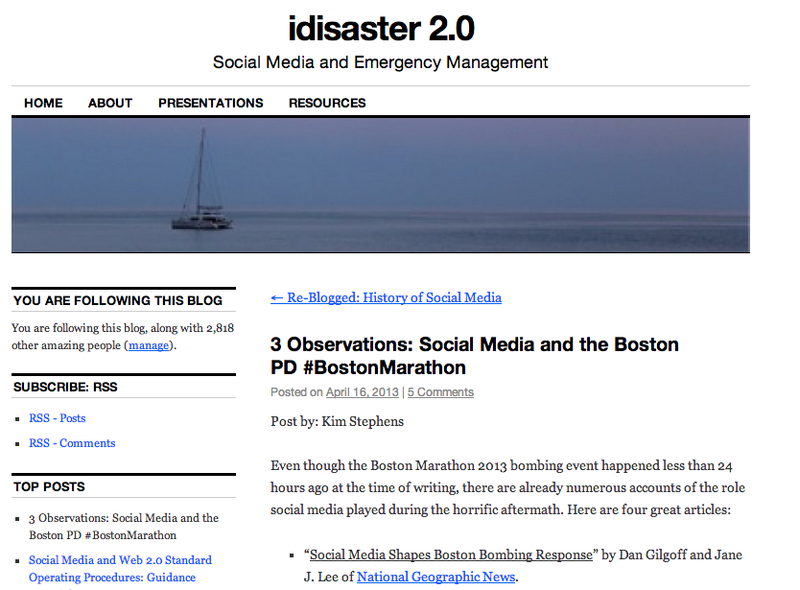 In my research on the use of social media in emergency management and communication and my hunt for good case studies, I have come across a knowledge hub, that I thought I’d share with you. I was of course introduced to it by wonderful people on Twitter (thank you Eva Alisic). The website is called The Australian Emergency Management Knowledge Hub and is still a BETA version of the Knowledge Hub, but a good BETA version. It provides easy access to evidence-based research and other research as wells as news relevant to emergency management, including statistics and information, photos, video and media about past disaster events. You can read more about the rational and the organisations behind the website on their ‘about’ page. The website has lots of well thought out search tools. You can search for information about specific emergencies through a combined map and timeline. It will provide you with basic data about the event and links to resources related to the event in the research database. You can also go directly to the research database and search here on the topic you seek information. You can even filter or sort it by the kind of document (case study, website, report, journal article, blog, wiki etc. ), date and disaster category. Although I haven’t yet tried it out, there is also a community forum space where people working with emergency management can register to discuss ideas and issues affecting the emergency sector. As the name of the knowledge hub implies, the majority of the resources relates to Australia and its closest surrounding countries, but it is no way exclusive. I have mostly been looking at things related to social media and it seems to me that Australia is first-mover country when it comes to integrating social media into emergency management. The Knowledge Hub also provides access to resources in the Australian Emergency Management Library. Users of the hub can contribute to the hub’s continuous development, by recommending additional resources, share upcoming events, photos, videos and join in on the discussions. The Australian Emergency Management Knowledge Hub is of course also on Twitter (@AEMKH), which they use very actively. 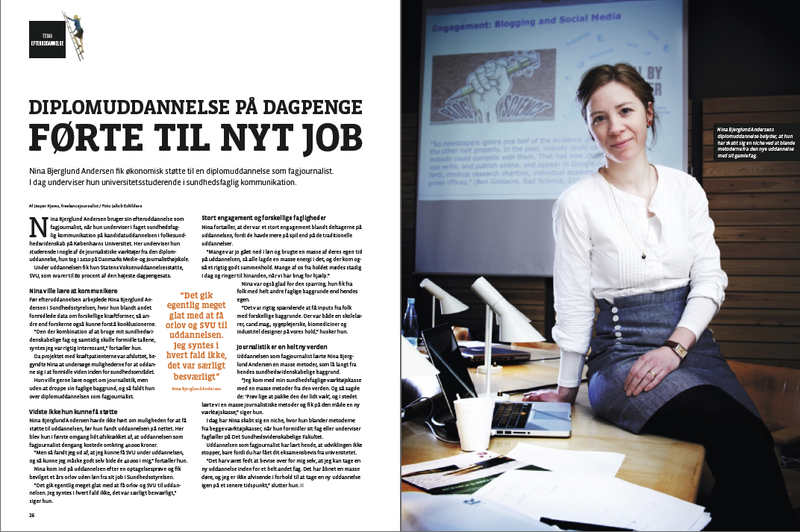 Having a bachelor and masters degree in public health sciences from University of Copenhagen, I know for a fact that at least in a Danish context public health science communication has not been part of the curriculum for public health students in the later part of the 20th or the first part of the 21st century. None the less, when I saw the headline of Martin McKee’s article, I was hoping that science communication would be an ambition for modern public health training. Unfortunately, I was to be a bit disappointed. The article starts out well, stating the need to “prepare people to engage actively in a complex and changing world in ways that improve the health of the population”. So how do you prepare people to engage actively in ways that improves their health? Well, in my world that will require that you as a public health professional and public health scholar can actually communicate what you are doing, what your theories are and what findings come out of your hard work. And that you can engage into conversation and discussion with the public and subgroups of the public (e.g. policy makers, researchers in other fields). In short, that you can communicate public health sciences. Engage with key decision makers at all levels and be confident to speak up. No suggestion is however broad forward about also contributing and communicating public health through these channels. Shouldn’t public health people aim to let their voice, knowledge and opinions be heard outside the ‘traditional’ public health media? “with a fast internet connection, most students could do a much better job of understanding the topics they [politicians and social commentators] addressed”. But the potential for new ways of communicating and engaging with the public broad forward by social media and other technologies is not mentioned at all. Communication is almost a precondition for all other 7 goals, which is why I would argue that it deserves to be a goal in itself. Public health students should be given competences in communicating what they do, why they do it and taught how communication can benefit not only the people they are trying to help but also their own work (which then again will come to the benefit of the public). Public health is, as Martin McKee opens the article, not just a collection of different disciplines or the goals it seeks to attain. It is much more. Exactly this ‘much more’ however requires communication. Public health science cannot (meaningfully) exist in its own little universe. It only comes to life when it steps out of the public health sphere and meets the rest of the world. This, however, requires that we as public health people are dressed to meet the world and to communicate with it. Let’s make public health science communication skills the 8th goal of public health training in the 21st century. The article by Martin McKee is unfortunately hidden behind a pay wall, but you can read an extract here: Seven goals for public health training in the 21st century.